I love to make sun tea in the summer. 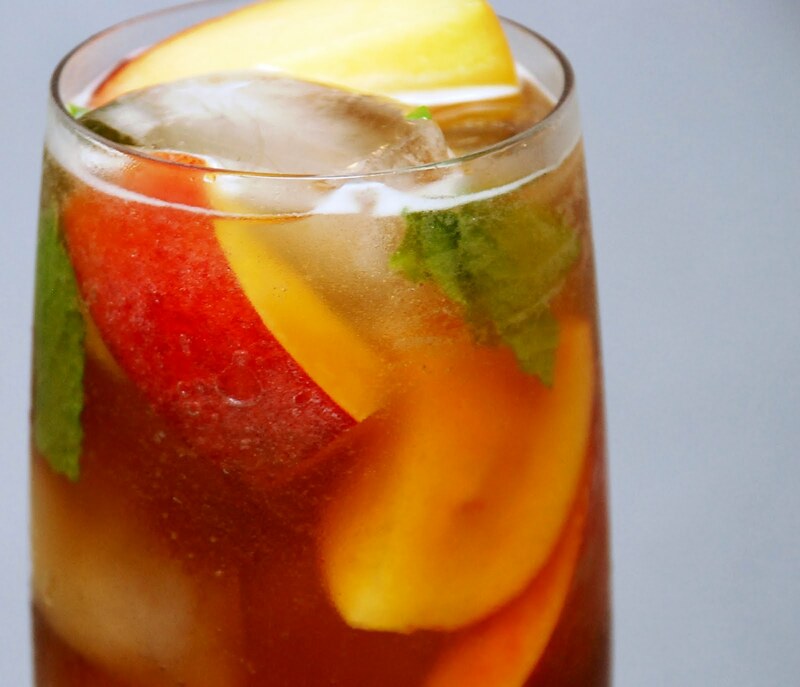 Adding fresh peaches and mint makes this tea a great drink to serve when guests are coming. Pour tea over ice and add peaches and mint.